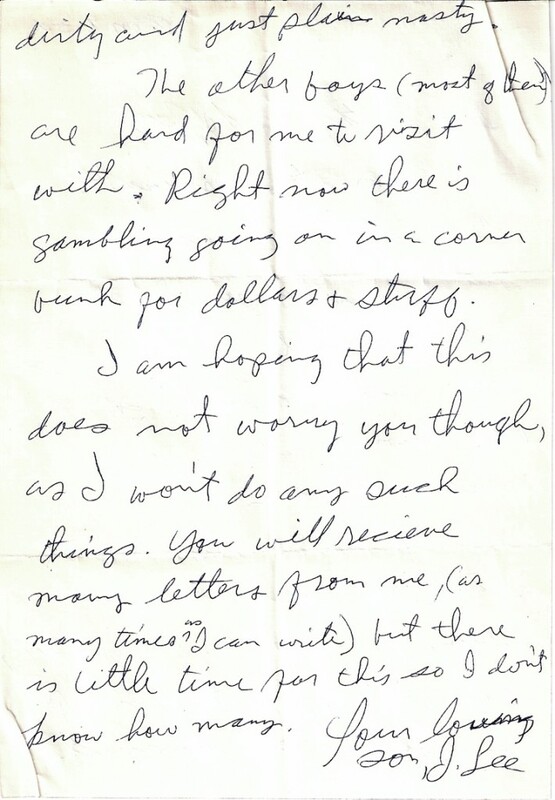 Here is the next letter dated August 9, 1954. 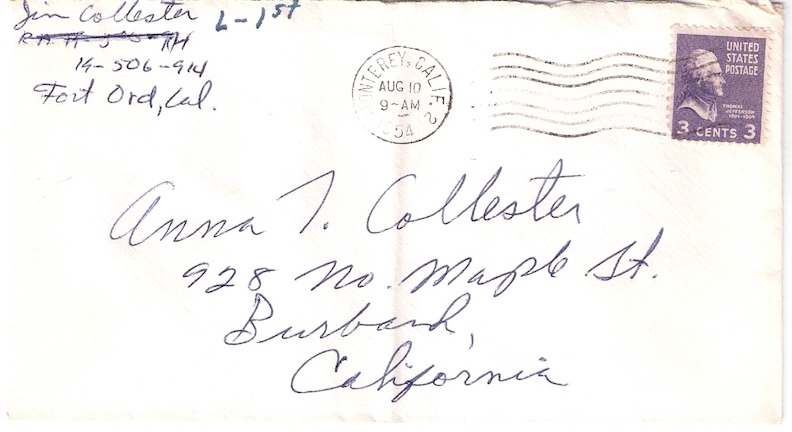 It seems my Dad was extremely home sick at this point. Perhaps visiting with his old friend Norm had contributed to the feeling. It was also interesting that he wanted to assure his parents that he’d never take up gambling. Perhaps this was against Army regulations, or just frowned upon by society at the time. 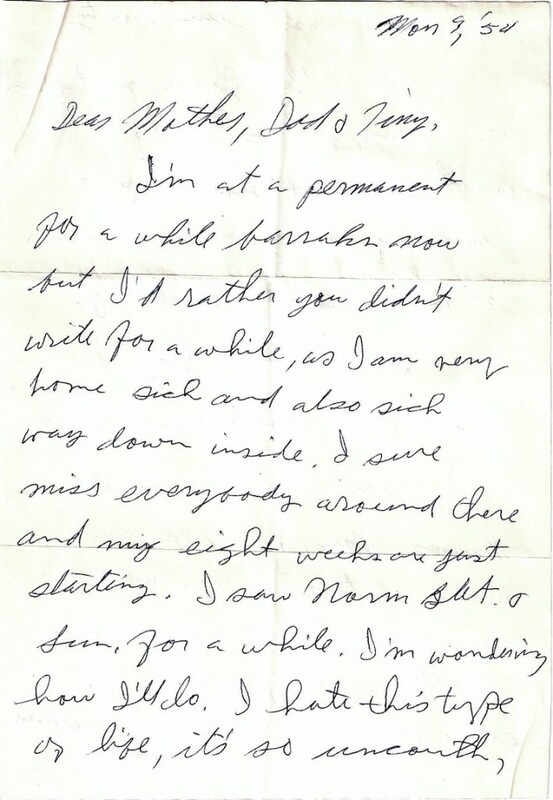 Also noteworthy is that this letter was finally addressed to his parents and sister. dirty and just plain nasty. The other boys (most of them) are hard for me to visit with. Right now there is gambling going on in a corner bunk for dollars & stuff. I am hoping that this does not worry you though, as I won’t do any such things. You will receive many letters from me, (as many times as I can write) but there is little time for this so I don’t know how many.